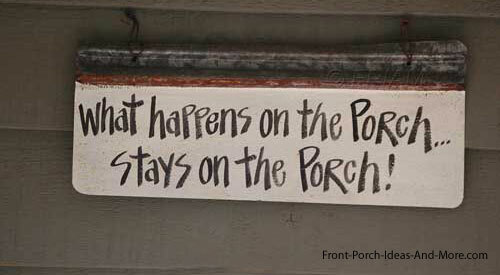 If you are looking for porch pictures, we are glad you are here. We have a myriad of front porch photos on our site covering almost every type of porch, from country to contemporary, 3-season, log home, screened, craftsman style and so many more. The main purpose of our site is give you plenty of front porch ideas for your own home, whether you are building a new one, remodeling an existing one, or just want to improve your home's curb appeal. 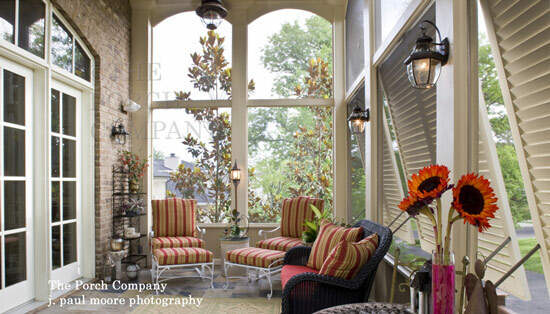 What better way to get ideas than from a wide range of porch pictures? 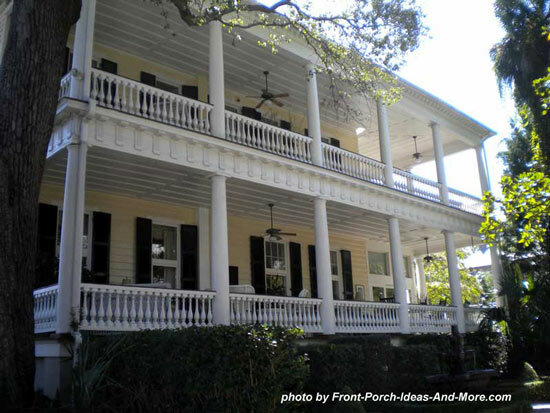 In addition to pictures of porches, we provide links into our site where you will find literally hundreds of other porch photos depicting every facet of a porch, from the foundation to the roof. 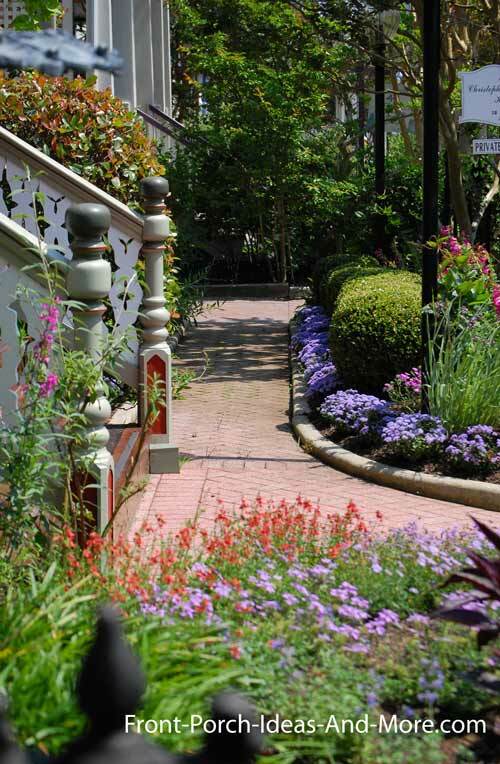 Also, you can explore decorating, landscaping, walkway, and even outdoor lighting ideas too. 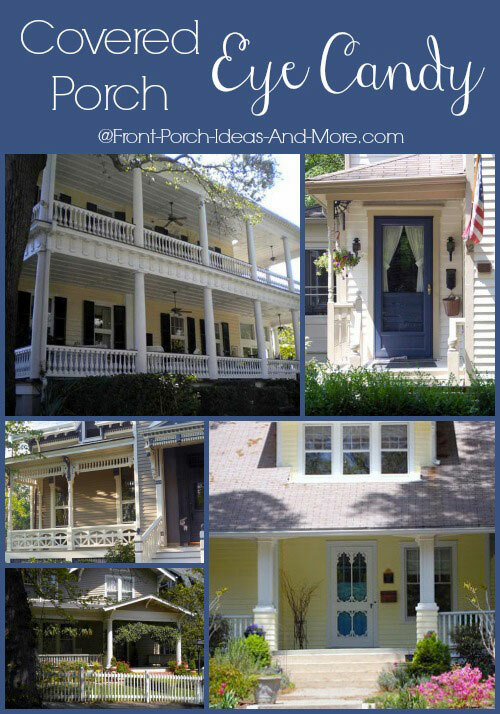 See porches from across the country and perhaps even from a town near you! 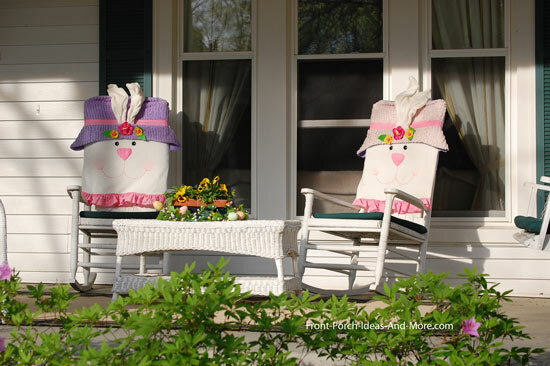 A porch is just a porch...until you add your own personality! 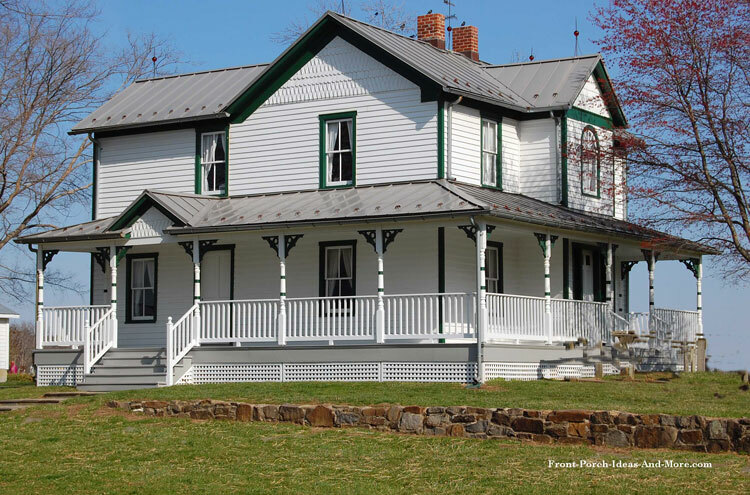 We often see builders use traditional styles to create a more contemporary appeal as evidenced by the county wrap around porch still seen on many homes today. 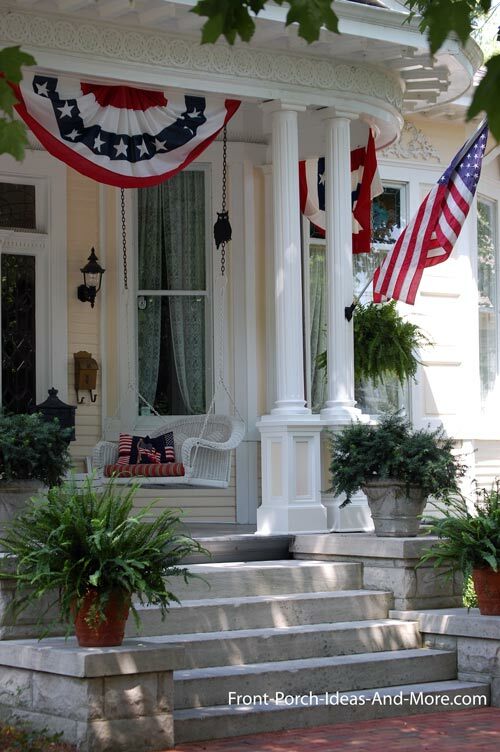 Want to see more pictures of patriotic porches? 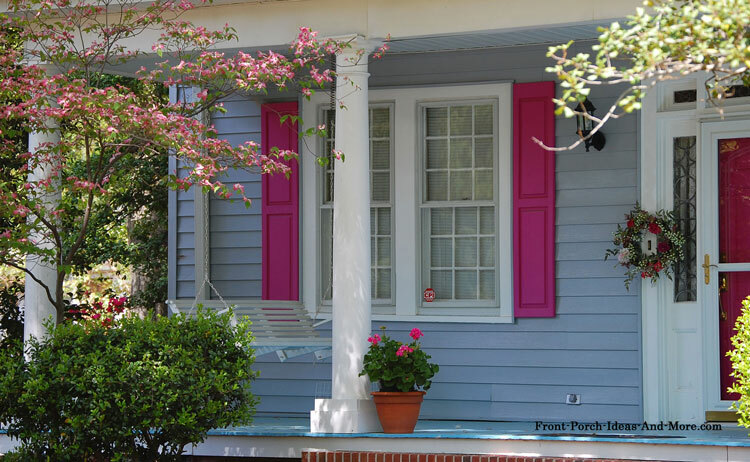 Brightly colored shutters add lots of pizzazz to this front porch! 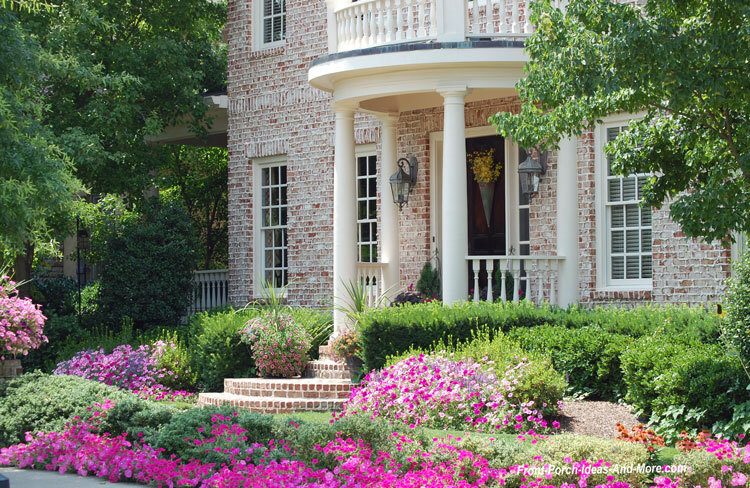 Color almost always plays a huge role in creating curb appeal. Often times it only takes a little color to have an immense impact. The key is finding the right color or colors to create the effect you want. 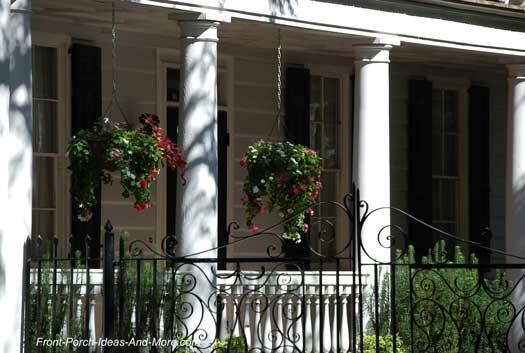 Did you know that residential architectural styles have their own color palettes? 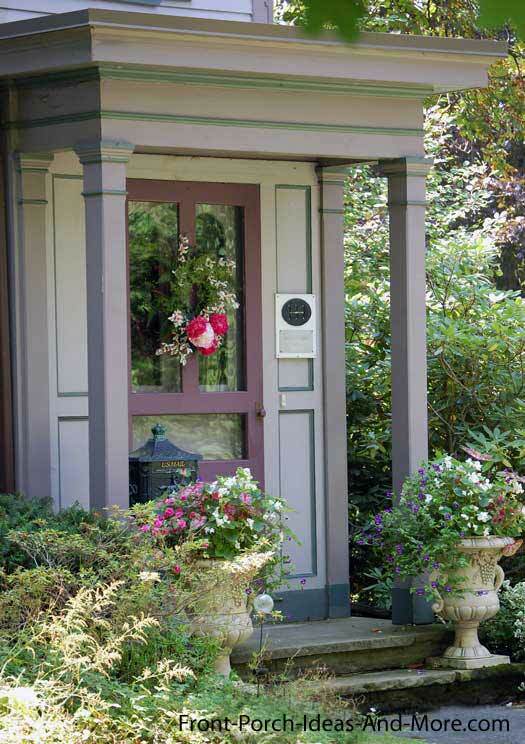 The palettes can help you not only choose the right porch paint but also find the right colors for cushions, pillows, or other decorating features to complement your color scheme. 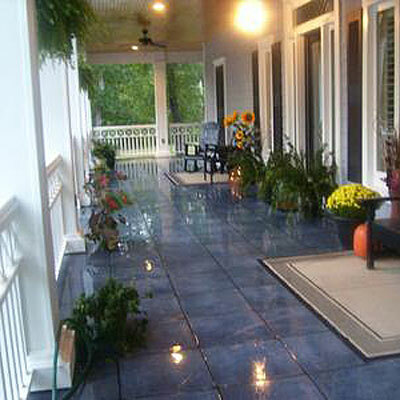 Front Porch Designs: Most people are surprised to learn just how many separate components make up a front porch. 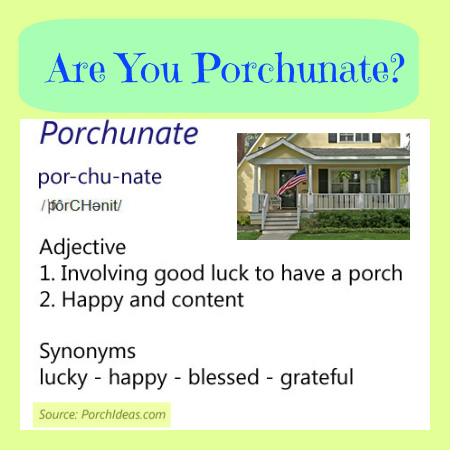 Each component is an integral part of your porch and many directly create both comfort and curb appeal. 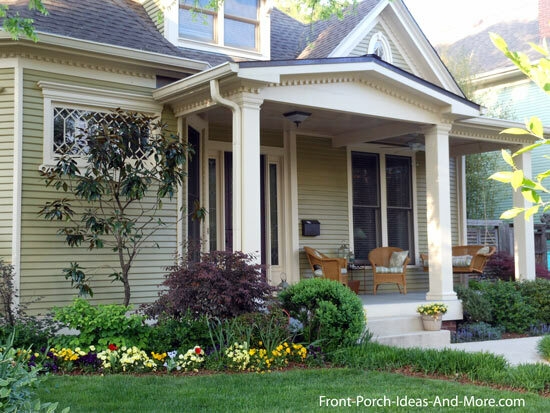 Don't overlook the impact of front yard landscaping when creating your "perfect" porch. 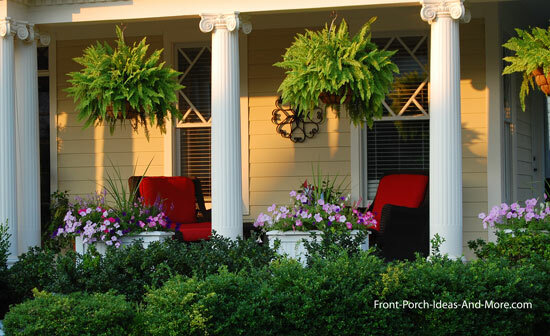 You can make almost any porch look amazing with the right plants, bushes, and flowers. You can also use landscaping to create privacy or perhaps hide unsightly structures or your neighbor's old car! 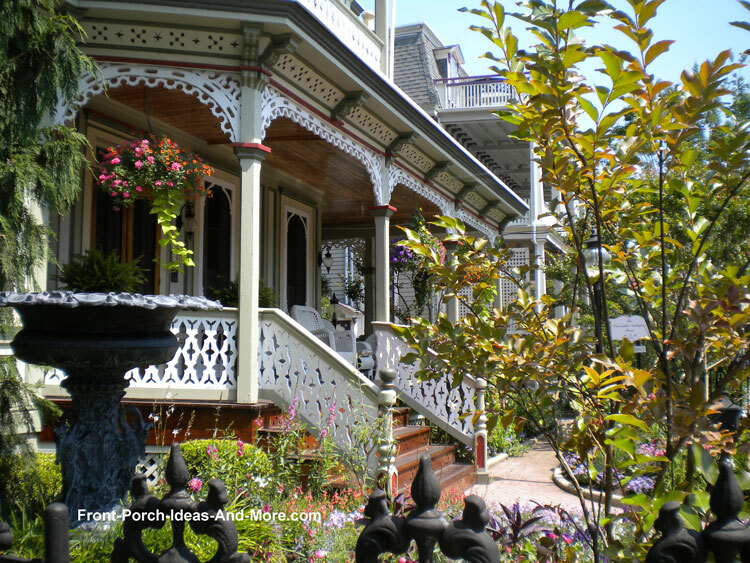 What makes a Victorian porch? The exterior trim of course. Often called gingerbread, house trim can be used individually or combined to create fairly elaborate displays. 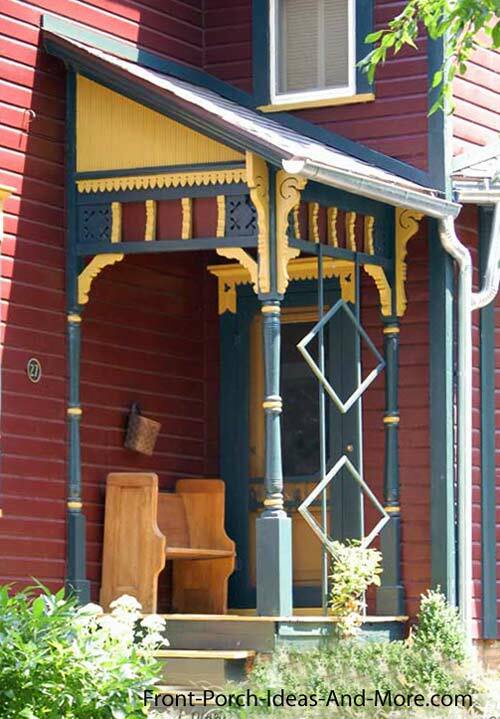 Trim can add interest to almost any porch, large or small - it doesn't have to be a Victorian home. 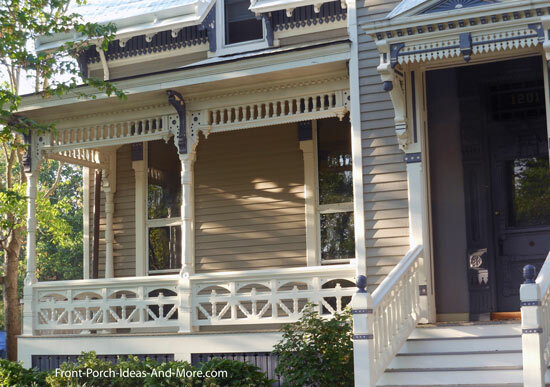 Simply adding decorative brackets to the tops of columns can give your porch a new look. And, it is easy to do. 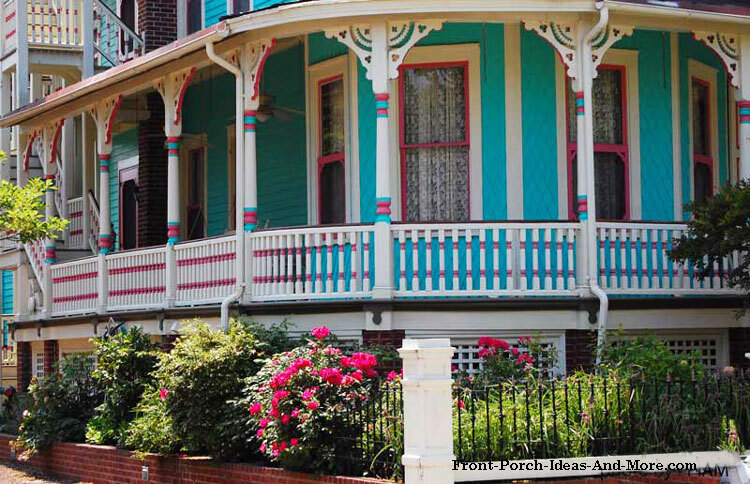 Small front porches can pack a punch by maximizing the color scheme. 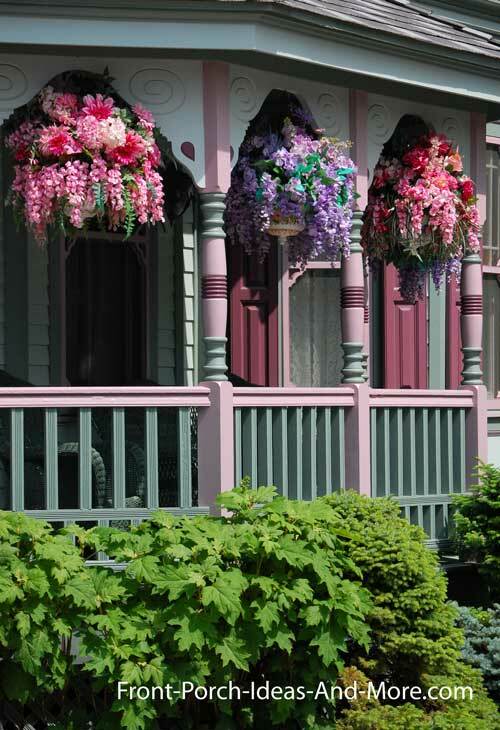 From painting the front door in a vibrant color to adding color to balustrades and porch columns, you have lots of options for creating oodles of curb appeal. 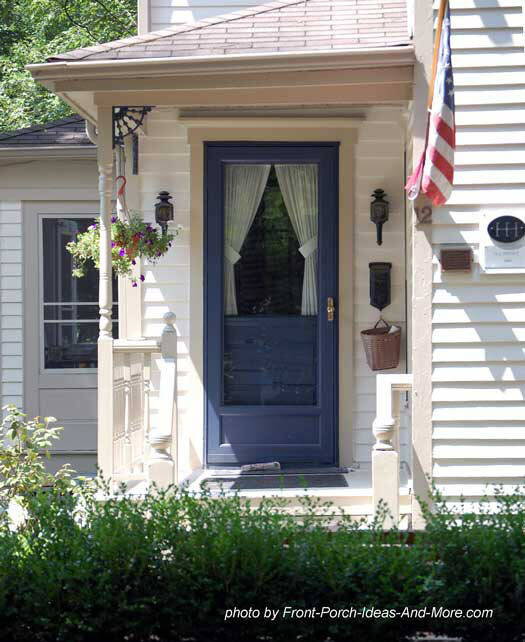 The bright blue door give this small front porch lots of curb appeal. 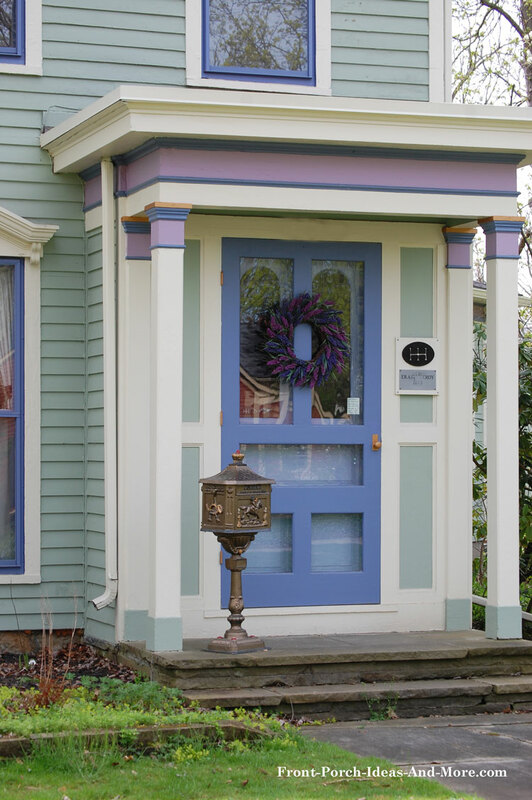 Adding additional color to columns, trim, eaves, etc., enhances the appeal of the porch and home. 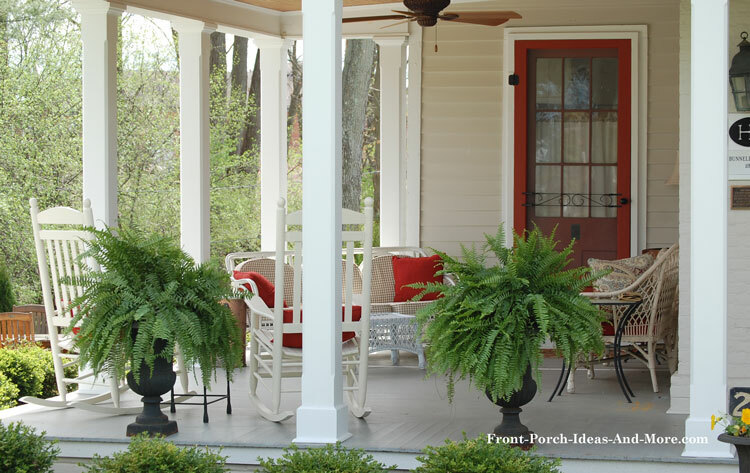 An open porch offers lots of room for total comfort. Got haints? 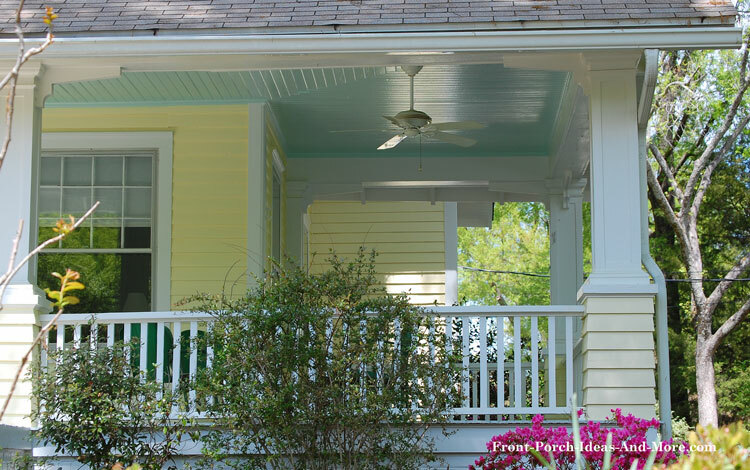 Learn more about this traditional porch ceiling color. Porch decorating is enjoyed by many. 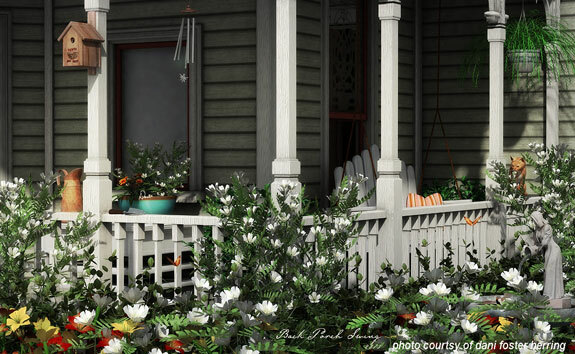 Consider your porch as an artist's canvass on which to paint. 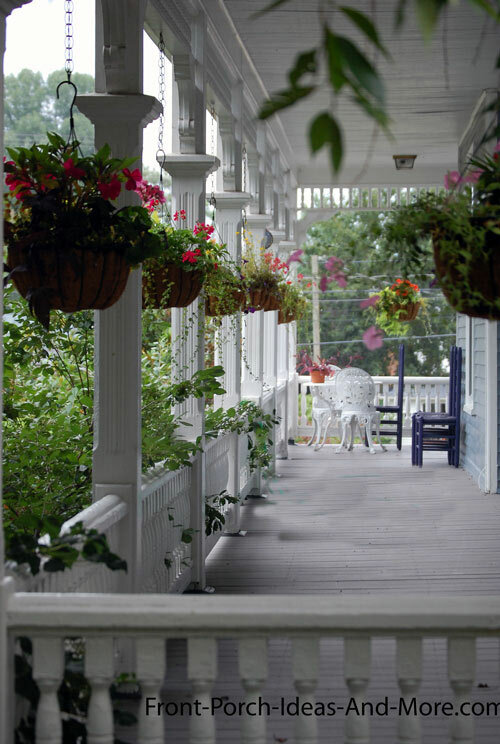 Even if on a budget porch decorating can be as easy as repainting columns, railings, the front door, or even your porch furniture. Decorating for the seasons can be as simple as changing out the colors of your porch cushions or re-purposing items around your home, garage, or attic. 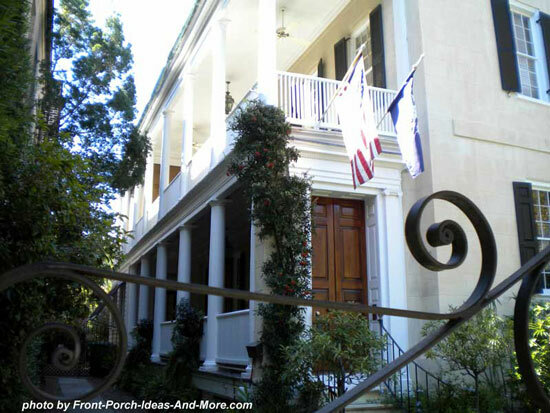 You can change the entire appeal of your home with the right porch railings and columns. 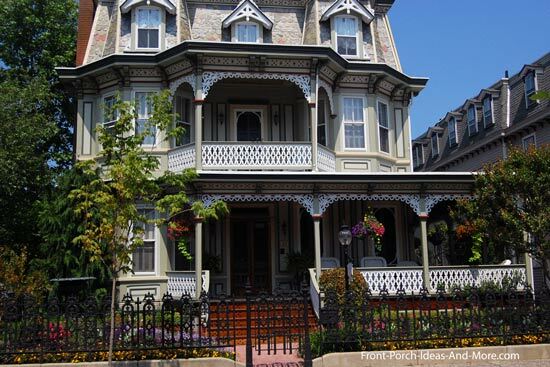 From the very simple in design like a comfortable country porch with colonial balusters to the Victorian with elaborate sawn balusters, railings and columns not only add structural integrity and a measure of safety, but also can be used for decorative purposes as well. 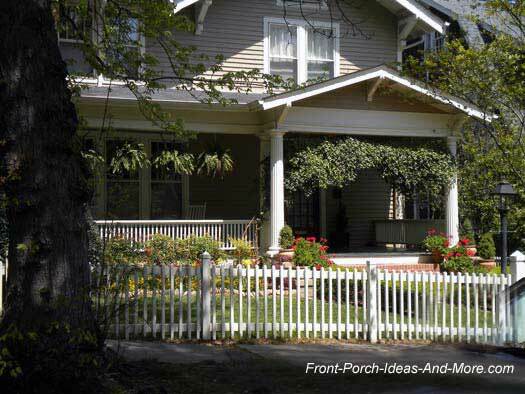 If you want a new look for your porch or home, consider changing the style of either the railings or columns. Column replacement is as easy as obtaining wraps that surround your existing columns to give it an entirely different appeal. 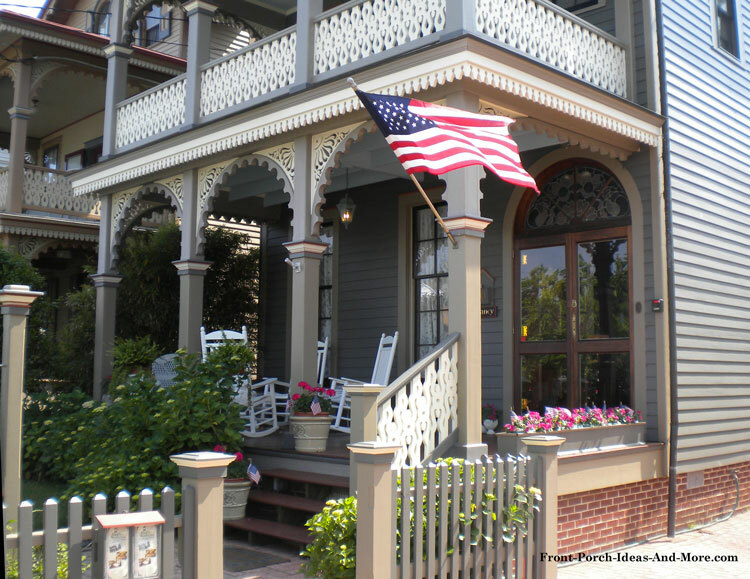 Mary and I travel the country looking for fantastic front porches. We may have even visited your home town. 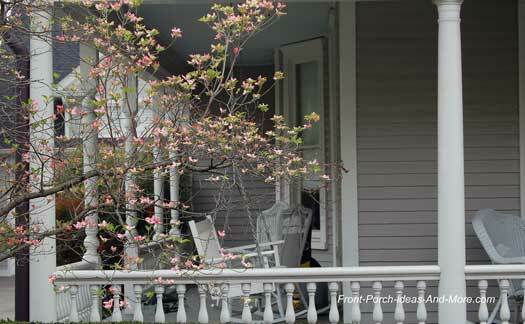 See where we've been and the photos of neighborhood porches too. 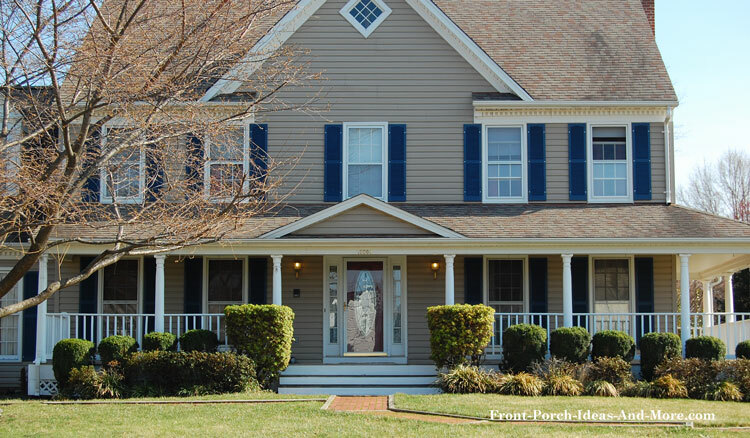 Can you tell what's unique about this front porch? If so, drop us a note. 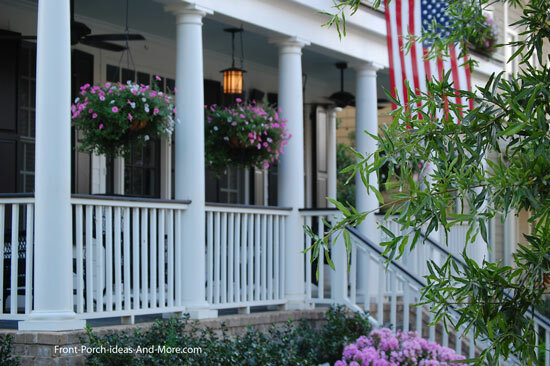 We hope the photos on this page encourage you to take a few minutes and explore the many other photos and porch ideas we've collected for you. 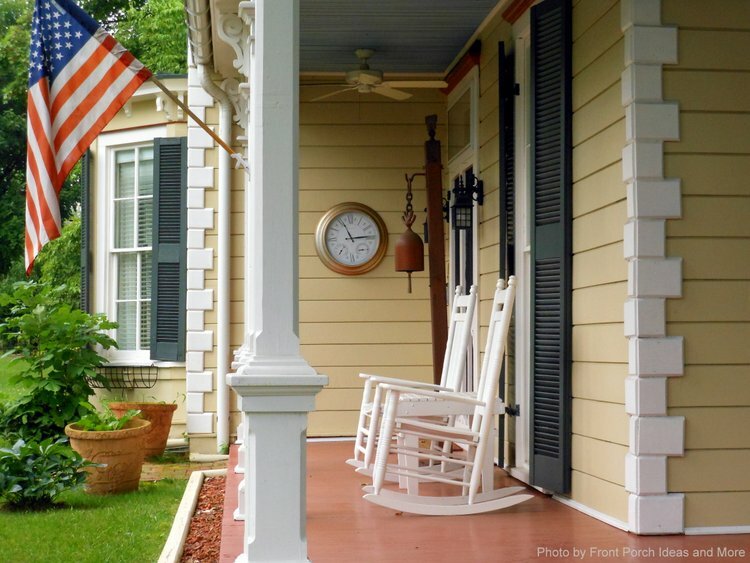 Use your porch as your own private retreat, read a book, visit with friends, or just watch the world go by.